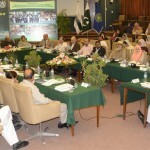 Speakers at a focus group meeting, titled ‘Promotion of Interfaith Harmony and Coexistence in the light of Paigham-e-Pakistan’, unanimously decided that as per Mithaq-e-Madinah charter all Muslim and non-Muslim citizens of Pakistan shall be treated with absolute equality and a subject of inter-faith harmony, tolerance and peaceful co-existence should be introduced as a compulsory subject in schools. 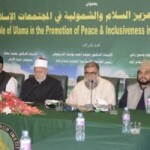 The meeting, organised by Islamic Research Institute (IRI) of the International Islamic University Islamabad (IIUI), was presided over by IIUI Rector Professor Dr. Masoom Yasinzai. 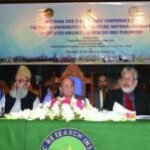 The event was also attended by Director General IRI, Dr. Muhammad Zia ul haq, Parliamentarians, religious scholars, academicians, intellectuals , Members of National Assembly (MNA) and prominent scholars belonging to the Hindu, Christian, Bhai, and Sikh communities, scholars of the institute and it was hosted by MNA Romina Khurshid Alam. 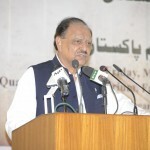 Speaking at the seminar, the parliamentarians, representatives of civil society, academicians and policy makers unanimously stressed the need for reviewing the country’s educational policy and ensuring training of teachers and scholars to respect other religions and their sacred places, on the basis that Islam did not allow extremist practices. 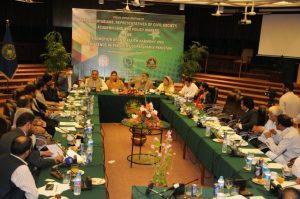 Most speakers said that common faith centers should be established in different areas of the country to enable people to practice their religion with freedom. 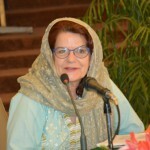 Addressing the participants, MNA Rubina Khursheed Alam read out a joint declaration saying that it was a continuation of the Paigham-e-Pakistan resolution, adopted on May 26 this year during a national seminar on ‘Reconstruction of Pakistani Society in the Light of Mithaq-e-Madinah’, under the chairmanship of the president of Pakistan.